Flat (also called Pipe-cut) Titanium Ring with Tension Set Round stone. This ring is available with Round gem stones, or a brilliant cut (round) diamond. All stones are genuine, high quality gems. 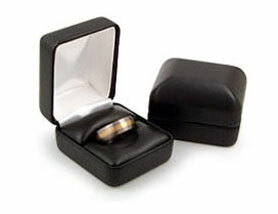 Rings are shown with 3mm round stones. My girlfriend and I purchased these rings after looking and looking. This was the only ring we've agreed on. The setting is gorgeous and unique. Moissanite is our new favorite and I am so glad we took a chance on it. Such sparkle! After cost and quality comparisons to other companies, Avant Garde truly is the best value. Also, the engraving is perfect. We chose block lettering and it's clearly legible and seems more than deep enough to last a lifetime. What really separates this company from others is their service and desire to exceed expectation. The normal production time is fine, but I really wanted to surprise my girlfriend on her birthday (our rings would have arrived days after her b-day). 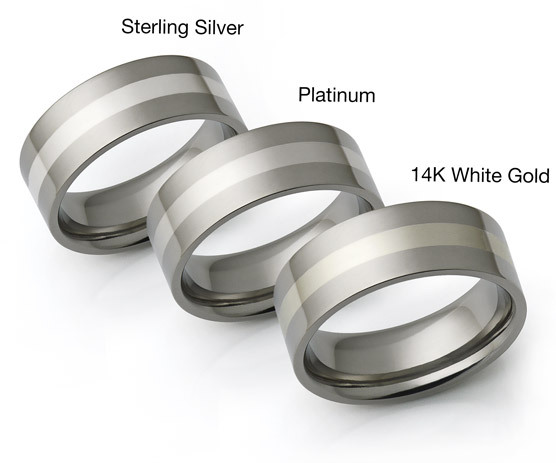 Anthony must have jumped through hoops to get these rings produced and shipped out ahead of the normal expedited production time. They DID arrive on the specific day I needed them. Because of Anthony, I was able to surprise my girlfriend on her birthday, making it an occasion she says she'll always remember. It was truly a special day, thanks to his efforts. I look forward to exploring more of Avant Garde's jewelry after this experience. You just can't find this service, quality and value anywhere else! I also wanted something different for my wedding ring. Ordering for the first time from the net, was a little scary, but Avangarde is a very good company. No falses promisses, they stand up to what they say. The ring is absolutely georgius. After one year of seeing it on my finger every day, I still can't get tired of it! 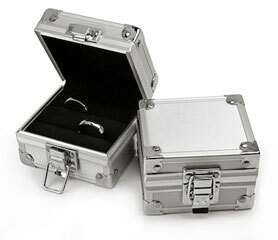 I wanted something different from those wedding rings seen in those jewellery shops. 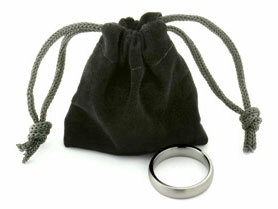 So far in Singapore, we cannot find respectable shops that sells Titanium rings or even Tension Setting rings. Buying this ring from Internet is a gamble! First, I can't be assured about Avant Garde but now I am!! 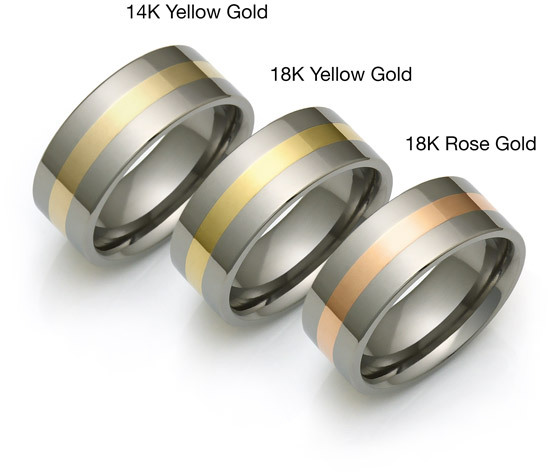 Second, I can't confirm if the chosen ring will looks good on me but it is.. (I rated 4 as I chose the wrong width and it is a bit big for me) Therefore before you buy, please try the width elsewhere. The only thing disappointing is the Laser Engravement. 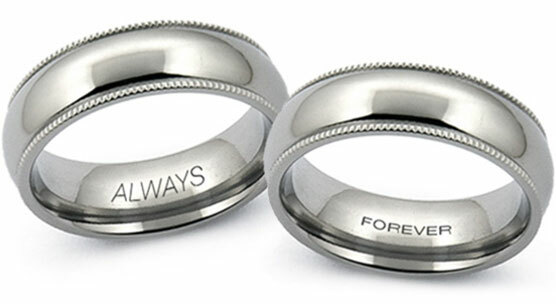 I hope for more Font style and also to balance the statement within the ring and to have it deeply engraved.